Counting green triangle shapes for kindergarten and preschool. 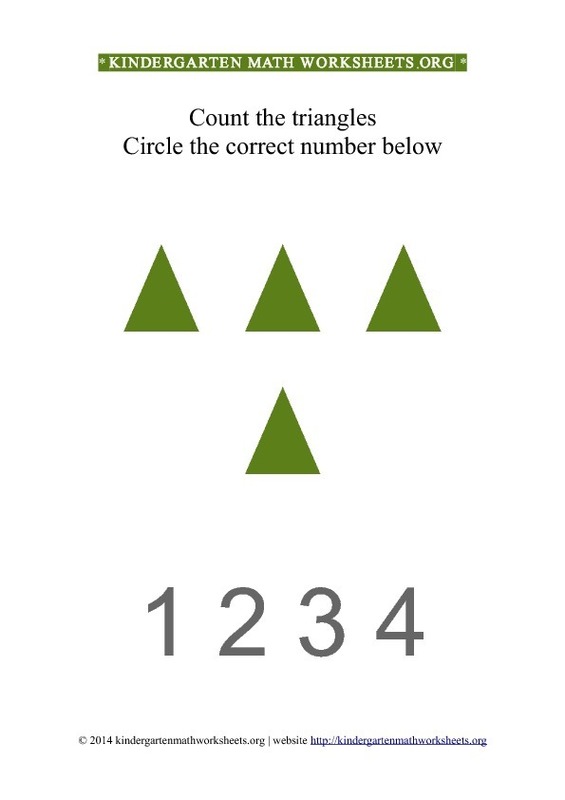 This worksheet contains pictures of green triangle shapes. 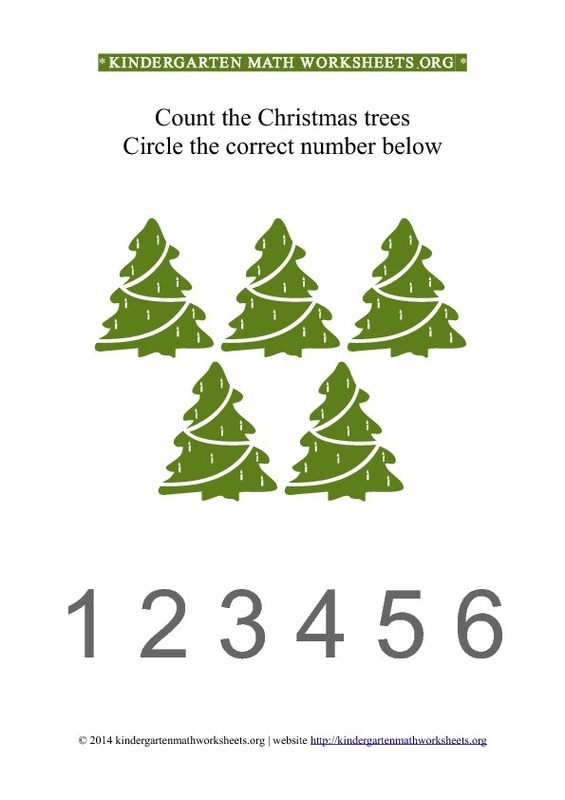 Count the total number of green triangle shapes and circle the correct number below. 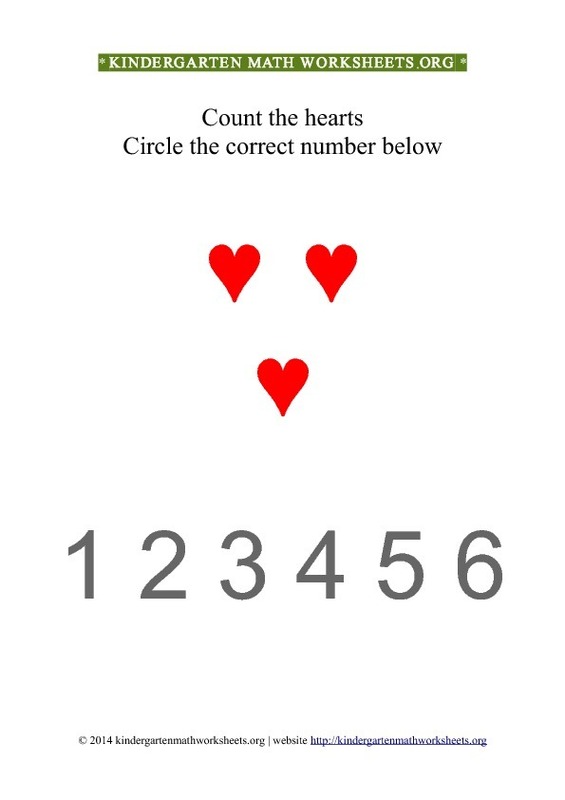 This worksheet is made available in the 1-4 numbers range. Welcome to Kindergarten Math Worksheets. 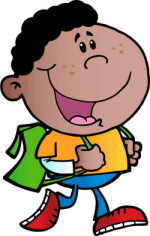 Free fun pre-k activity worksheets & games for kids online. Download our free math worksheets everyday available in pdf. We're also adding new worksheets frequently. 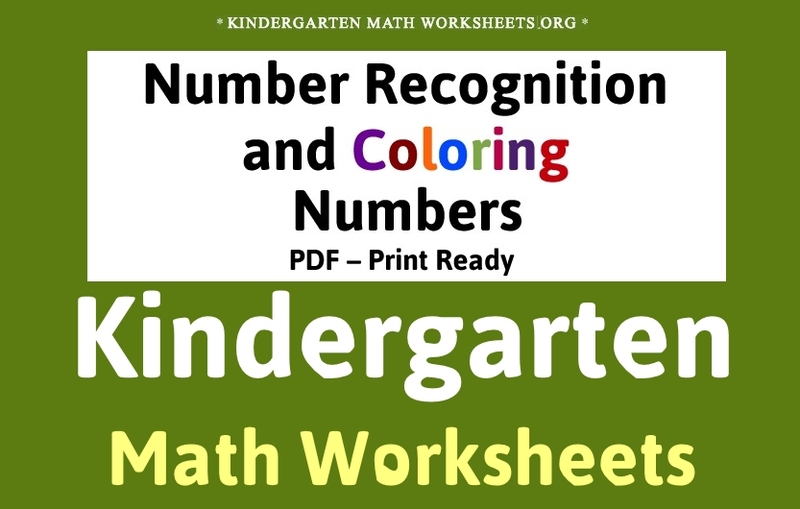 We have a great selection of free printable kindergarten math worksheet activities with pictures available for parents and teachers. If your child junior is beginning Kindergarten, please download and print our free math activities suitable for preschoolers. Have your children get involved with math activities early. These are also great for homeschooling. These math activities and printables will keep your children busy and help them learn the basic math skills quickly. 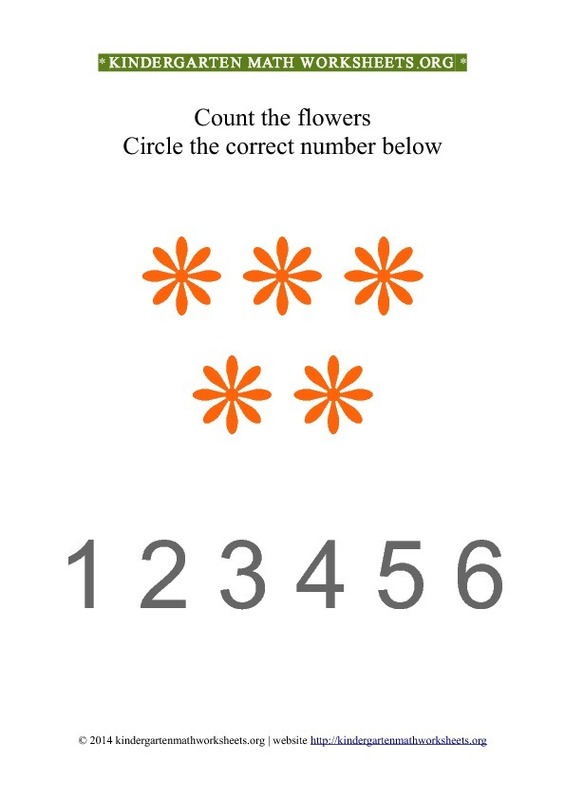 Get started with some of our basic number recognition worksheets. Also here is a list of what's to come soon. Missing Numbers, Geometric Shapes / Basic Shapes, Addition And Subtraction, Fractions, Counting To 5, Counting To 10, Counting To 20,Counting To 30, Patterns, Calendar / Clocks / Tell The Time Activities / Days Of The Week, Adding Pictures ( Animals, Shapes, Bugs, Ladybug, Insects, Bats, Dinosaur'S Etc ), Before And After, Big And Small, Bar Graphs / Graphing, Color By Number, Cut And Paste Activities, Capacity Worksheets, Comparing Numbers, Dot To Dot, Money Activities / Counting Dimes, Same & Different. Kindergarten activity worksheets for seasonal weather themes and holidays. Counting yellow stars for kindergarten and preschool. This worksheet contains pictures of yellow stars. 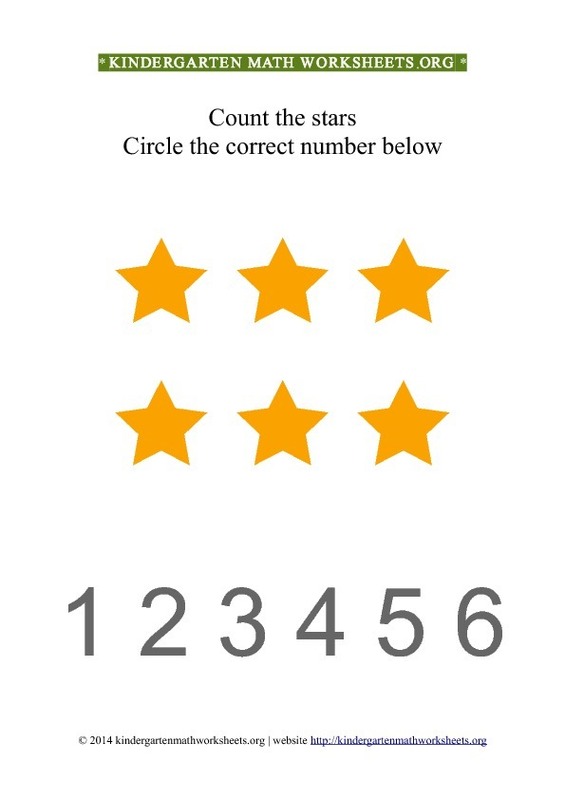 Count the total number of yellow stars and circle the correct number below. Counting blue square shapes for kindergarten and preschool. This worksheet contains pictures of blue square shapes. 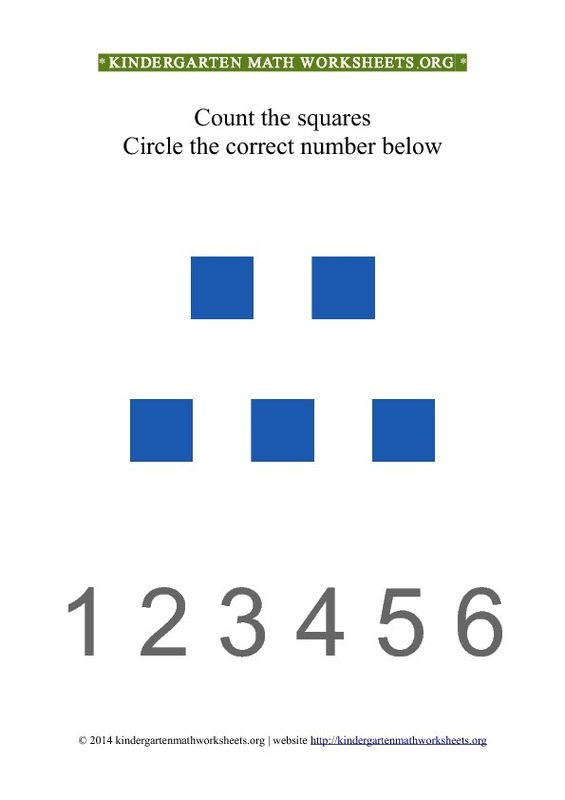 Count the total number of blue square shapes and circle the correct number below. Counting red ovals for kindergarten and preschool. This worksheet contains pictures of red ovals. 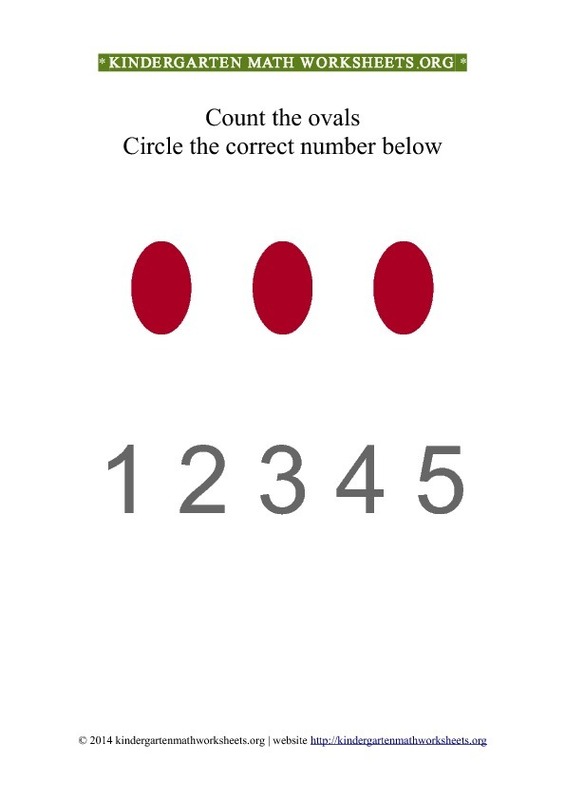 Count the total number of red ovals and circle the correct number below. Counting blue diamond shapes for kindergarten and preschool. This worksheet contains pictures of blue diamond shapes. 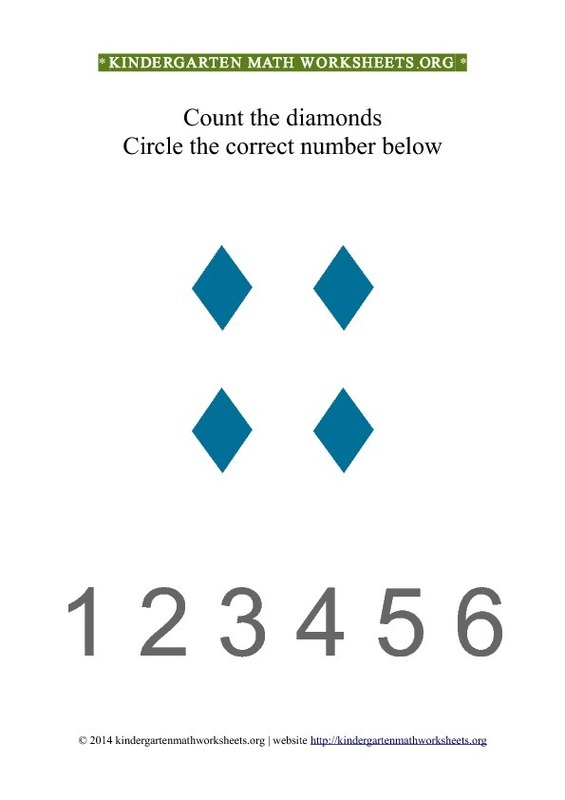 Count the total number of blue diamond shapes and circle the correct number below. 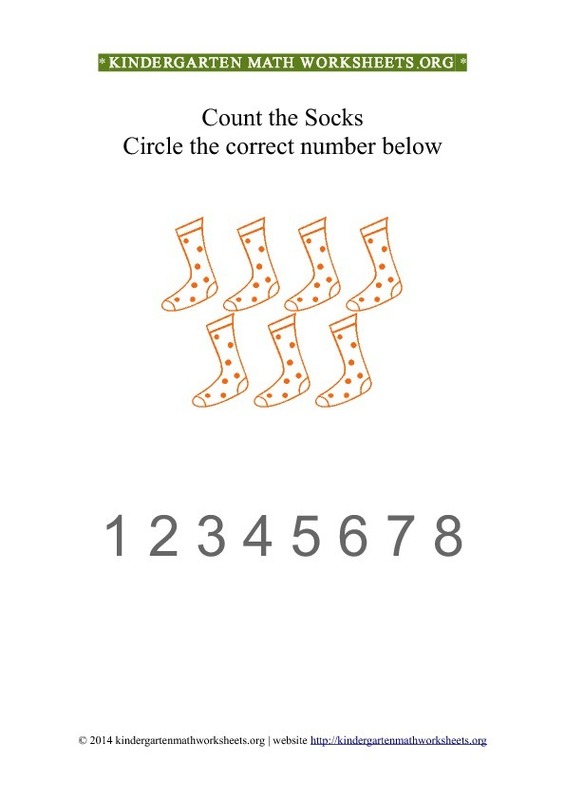 Counting orange socks for kindergarten and preschool. This worksheet contains pictures of orange socks. 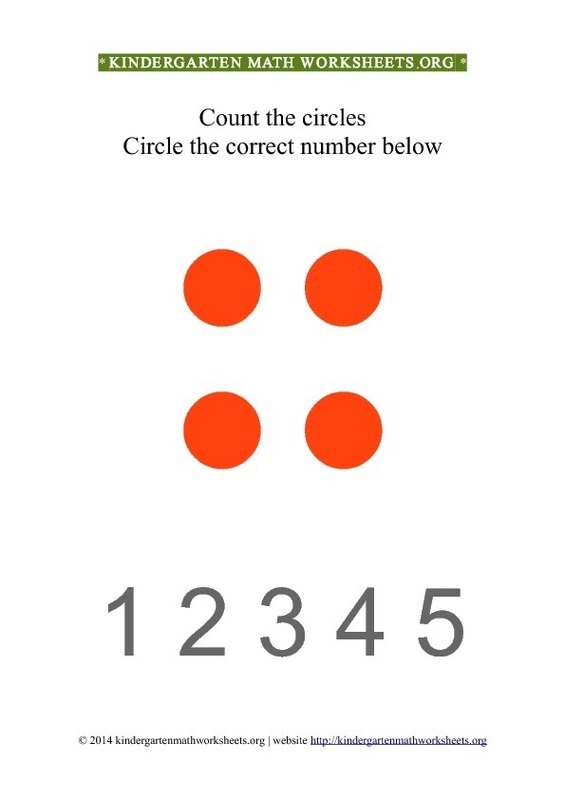 Count the total number of orange socks and circle the correct number below.